The good news is that Waldameer's successful season has convinced Nelson to add another major ride for 2009. When he and his family go to Orlando, Fla., next week to collect an award from the amusement park industry, Nelson and Steve Gorman, his son-in-law and Waldameer's general manager, will check out the new ride. They'll share details later. I unfortunately only made it to Erie once this year and it was this past weekend and I have to say, RFII is one incredible ride. I really can't state it enough that this was truely a great addition and definitely one of my top 3 coasters. Well, technically if people would read their blog more, they said back in early August that the announcement will be Sept. 4th, so they did want anticipation, haha. Water park expansion or ride park expansion? I am thinking they are adding a wave pool. Why would they be going to Florida to check out a wave pool? Nelson was talking early this season about a huge water park expansion...although I think they might have changed their direction on that. Also, back by Rainbow Gardens, where the pavilion is next to it used to be an access point to go down to the beach. It has been closed off for a number of years now (over 10, probably close to 20 now). They own that entire hillside there too. There is always a possibility for another terrain coaster... although I doubt very heavily that that would happen that close after Ravine Flyer. Is it just me? Am I blind? I can't find a blog on their site anywhere. Maybe if it were easier to find, more people would read it. There's a big banner for it at the bottom of the index page. Well, looks I can find things on Waldameers site, and you can find things on the AmusementToday site... put them together... a great power waiting to happen. ;). 2009 Waldameer expansion will be a RIDE, not the waterpark as originally expected. I spoke with the owner's wife on Sunday about a few subjects, and she said the problem that exists with the intended waterpark expansion is that would take out some of the parking lot. If only the State of Pennysylvania would sell Beach #1 to Waldameer, which is the only beach that is overrun with criminal activities, which would be a good service to both the community and for Waldameer. I also spoke briefly with her about the consideration of park operations after Labor Day into the Fall, and she mentioned that the idea has been discussed, but nothing has come of it. Well congrats to Mr Nelson, my hats also off to him, but what a jip about the ride announcement. Oh well, time will tell and if it's going to take that long to put up could be something really cool, or they just have alot of clearing to do, since they are getting tight in there. Anyone have any clue what is in FL they could be looking at, ride manufactuer wise or anything that is for sale? Waldameer buying Beach 1? Sorry Midwave, but beach 1 (for being the closest) will never be a part of Waldameer. It is simply too far away. Besides, Beach 1 is the most disgusting, rocky, and downright unattractive beach on Presque Isle. Not to mention that Beach 1 has a horrible reputation for the people who hang out there (if you live around Erie, you know what I mean). I understand the Water World going into the parking lot issue, but I think Waldameer has other possibilities. For one, the amount of trailers in that unsightly trailer park is declining. You can already see that former trailer lots seem to have molded into the 6th Street lot. Maybe this is a sign of further land purchase. Also, the decrepid Evan's skateland is for sale in which a decent plot of land is up for grabs adjacent to the park. To add to that, within the park, they could always move some of the many picnic groves further south in order to clear more useable free space. Also within the park is the Rainbow Gardens (business has depleated due to convention center) area which has the land available in its current spot, or on the hillside behind it like Rctycoon2k mentioned. The Presque Isle Inn is on the same area of land Waldameer is on as well. The once luxurious motel is a little run down and rarely busy. If that were to go under, that would be yet another a land expansion opportunity. Finally, there is the dreaded ride removal chance. Although probably not going to happen, the chance is always there. For the new ride? With it being such a secret, who knows. I already mentioned my thoughts in another topic in which my thoughts still haven't changed. I can say one thing though, it will be "new" as is in not used. A while ago, Paul Nelson said in an interview that he would never buy a used ride again after all of the issues with the now removed Flying Coaster or also known as "The Bump." I can say one thing though, it will be "new" as is in not used. A while ago, Paul Nelson said in an interview that he would never buy a used ride again after all of the issues with the now removed Flying Coaster or also known as "The Bump." When did they have that and where was it? I only started going to Waldameer about 4 years ago so I'm a little curious. Any pictures of it? If I can remember, it was in the area that Wipeout now sits... either that or it was where the Sea Dragon is. I can't very much remember. 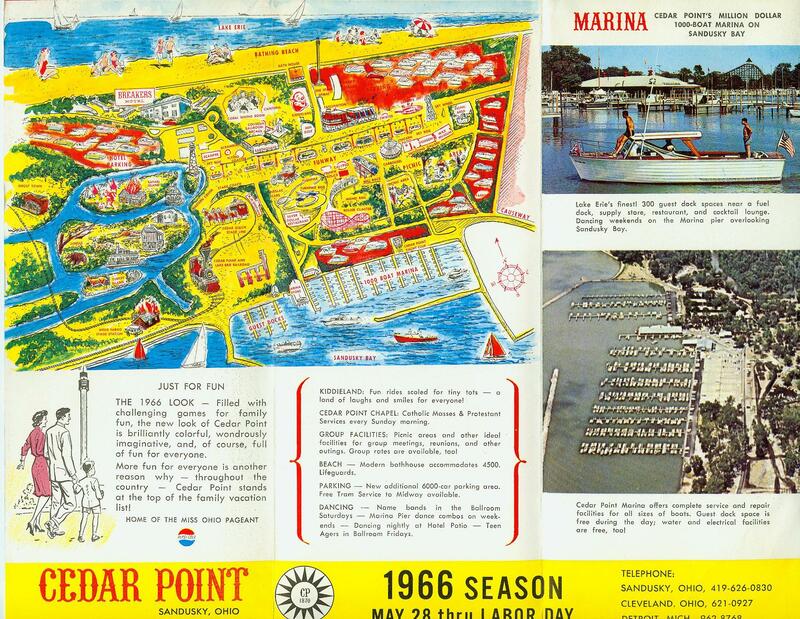 I am led to think that it was where Wipeout is, only because Sea Dragon was purchased from Conneaut Lake Park, which wouldn't fit with the "no more used rides after..." idea. The bump was replaced by the wipeout. It was the same ride as the kangaroo at Kennywood. How could a Kangaroo remotely be called a Flying Coaster? That's ridiculous. Cedar Point used to have a ride called Flying Coaster. You can see it here. It's near scrambler at the north end of the Sky Ride. I wonder if it was also a bump. I think they manufacturer of the ride actually called it that when they made them. I think the sign for the Kangaroo at Kennywood says that if im not mistaken, but i think i saw that somewhere for it. The Bump used to be where wipeout is now. It was there for many many years. I used to love that ride as a kid. But now when I ride the one at Kennywood I think to my self how boring! I guess when you grow up you can also grow up out of rides too. I do not know what the deal is with not getting any more used rides. They have purchased many in recent history such as: Sea Dragon, The Ferris wheel, and the drop tower (X-scream). All of them have been been popular and reliable.